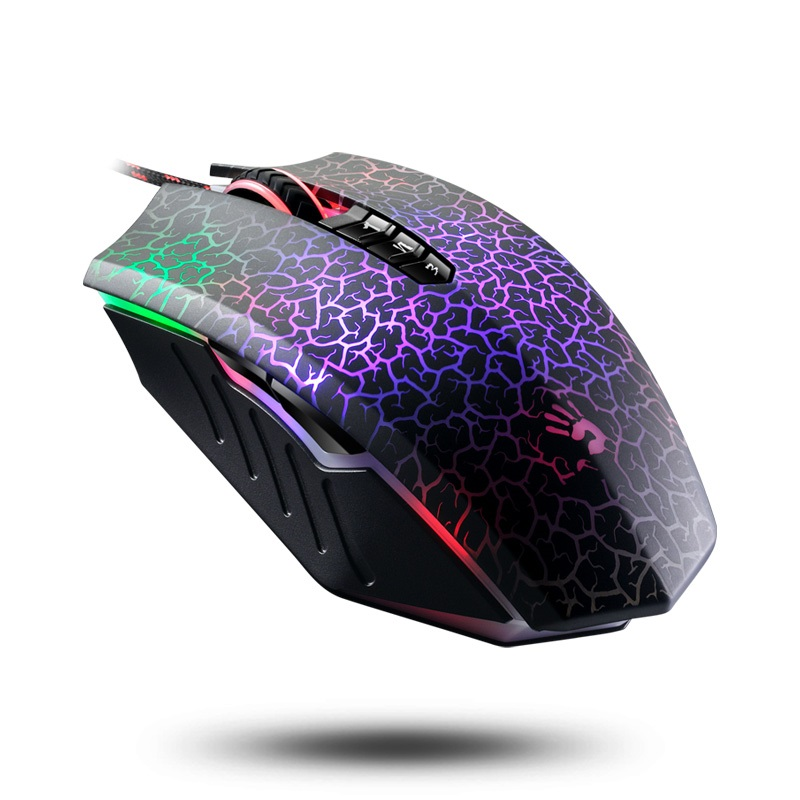 The Bloody A70 LK optical gaming mouse built for the gamers. LK (Light Strike) is the world’s first optical premium switch technology to be introduced to the market. With gamers in mind, the LK is designed for speed and durability. LK technology eliminates all digital noise that all other mice suffer from. By removing digital noise we are able to achieve a 0.2ms response time. LK optical wheel can actuate with the exact same precision as a mouse button. Our X’Glide metal feet technology provides durability and improves the glide control of the mouse. Bloody Core software maximizes the gaming experience by allowing the gamers to fully map out the 8 keys on the A70. Gamers can perform quick DPI modification with their presets without leaving the game.